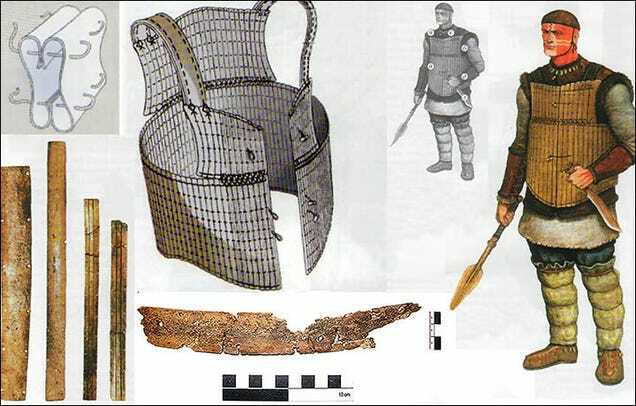 ... Archeologists are intrigued by the discovery of the complete set of well-preserved bone armour which is seen as having belonged to an 'elite' warrior. The armour was in 'perfect condition' - and in its era was 'more precious than life', say experts. It was buried separate from its owner and no other examples of such battle dress have been found around Omsk. 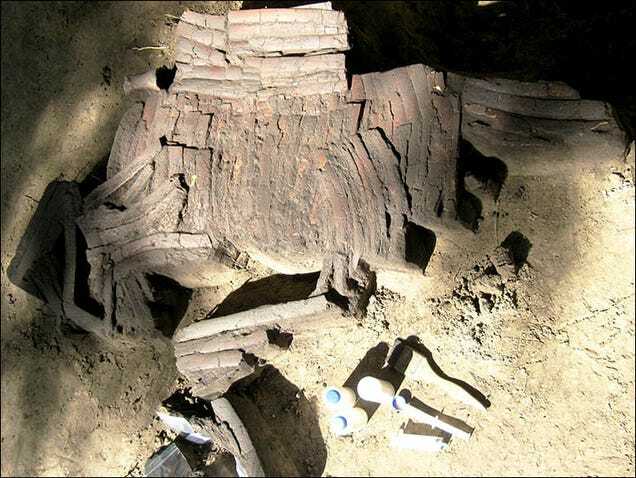 Analysis is expected to determine its exact age but Siberian archeologists say it dates from 3,900 to 3,500 years ago. Boris Konikov, curator of excavations, said: 'It is unique first of all because such armour was highly valued. It was more precious than life, because it saved life. Gerasimov, who is engaged in the restoration, said: 'Each armour plate in the ground was divided into many small fragments, which are held only by this ground. The structure was removed from the excavation, in 'monolith' as archaeologists say - namely, intact with the piece of ground, not in separate plates, and taken to the museum. He is certain that the armour belonged to a 'hero', an 'elite warrior who knew special methods of battle' and would have 'given good protection from weapons that were used at the time - bone and stone arrowheads, bronze knives, spears tipped with bronze, and bronze axes'. Ähnliche Panzer gab es bei den Tschuschen in Ostsibirien noch anfang des 20. Jhr.